2017 SSMT Instructions! 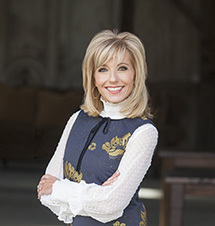 Join us for the biggest Scripture Memory Team under heaven! We are revving up around here for SSMT 2017! The Scripture memory team we host and support every other year is the most extensive thing we do around here on the LPM blog, so you can know that you are the size of an Airbus on our ministry radar right now. We are elated about the year we have ahead and believe with all our hearts that God finds tremendous delight in this group of diverse women banding together to memorize His Word. Here is everything you need to know about how to participate in the 2017 Siesta Scripture Memory Team! Please be sure you make it all the way to the bottom of the post where you’ll find the information about our matching spirals. *For you new-comers, an explanation of the name is in order. “Siesta” is just an endearment for “Sister.” There’s no club to join and no person you need to become. If you’ve trusted Jesus as your personal Savior, you’re a sister in Christ. If you don’t know Him, we’d love for you to stick around and get to know us and see if anything around here draws you. Everyone is welcome. Here’s a bit of our back-story on the weird name: When we first began the blog, it never occurred to any of us how much we’d come to love each other. As the community grew closer and closer and the participants more and more familiar with one another, one of you asked what name we should call each another. I tried to say, “I’ll tell you what we are: We’re sistahs!” but spell-check switched it to “siestas.” It stuck and that’s been us ever since. We even liked the thought that its actual meaning is to take a nap. We’ll know we’ve been a place of divine intervention if we’re a respite from the female competition and clatter out there. Only Jesus can give us that kind of relief in this exhausting culture. *We call this a Scripture memory “team” because that’s exactly what we are. We cheer each other on, hold each other accountable, and urge one another to make it to the goal – 24 verses systematically memorized in 12 months – through a process that requires significant practice. *Very often you will see me refer to SSMT. Just so nobody’s confused from the start, that is an abbreviation for “Siesta Scripture Memory Team.” If you’re not participating in SSMT, please know that we don’t limit the entire blog to our Scripture memory participants. It has a big presence on here because it’s twice a month but we still do lots of other things. Please don’t feel left out or forgotten. *Why 24 verses? In previous years, we’ve found this to be a very doable pace: 1 verse every 2 weeks. If you do much more, you’ll tend to fall behind and not retain. If you do much less, the impact is negligible. You really can do this. So many of you will surprise yourselves with what you’re capable of doing in the power of the Spirit. Yes, it takes work but it’s tremendously fulfilling and the results are nearly immeasurable. Look at it this way: we’re going to be meditating on something: unforgiveness, toxic memories, misery, lust, greed, dissatisfaction, jealousy, competition. Let’s choose Scripture instead! Christ Himself said as a man thinks, so is he. He also said His words are spirit and life. This is work worth doing, Beloved. Never – NOT ONCE – have I ever known anyone to get to the end of a Scripture memory commitment and say that it didn’t make any real difference. Not a single time. 1. Beginning January 1st 2017 – and the 1st and 15th of every month of 2017. At 9am, you will find a blog post (also on Facebook ) asking for your memory verse. A suggested verse will be included just in case you need a little help. Note: Please give us 24 hours to post your blog comment before you assume it got lost. We still moderate all blog comments and the amount we get on SSMT days necessitates a slower pace. Thank you for your cooperation! Always add your translation because so many of your sisters will want to know where you found the wording for your entry. 3. THIS ONE IS KEY! As often as possible, choose a verse that means something to you in your present season or circumstance. This is the reason why we don’t all memorize the same Scripture. We’re not all going through the same things. 4. Write the verse by hand in your spiral either shortly before or after making your entry. Again, that’s a recommendation and not a rule. I’ve discovered that there’s something about writing it with your own hand and picturing it later in your own handwriting that helps it sink into your memory bank (I’m not entirely sure why). 1. 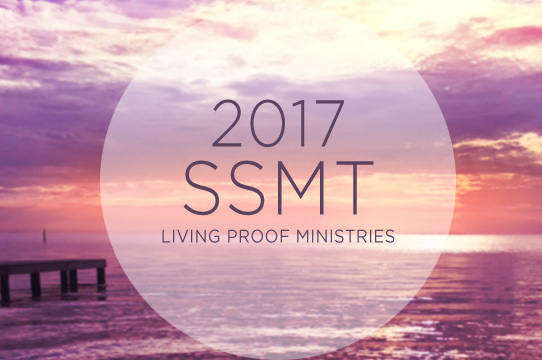 Print your SSMT 2017 cover from home. 2. Or, Order the spiral from LPM. Our Siesta Scripture Memory Team 2017 Celebration will be in January 2018. I’m telling you about it now so that you can have it for a little extra incentive. Our main incentive is the will and good pleasure of God, of course, but He Himself authored great celebrations in His Name so feel free to be excited at the thought. Also, I want you to have plenty of time to start saving your money for your transportation and hotel. We do not charge for the event. Your entrance fee is your well-used spiral. More information still to come. *Clock in by first name and city at least 20 out of 24 times. (But please make your goal 24 out of 24!) Let me reiterate that you can be late with your entry on a 1st or 15th of any month but, by the end of the year, there has to be a record in the comment sections of you signing in at least 20 out of 24 times on a SSMT post. Make sense? *Bring your spiral to the celebration. Again, that’s your ticket in. *If you’re planning to come to the celebration, be prepared to say any 10 of your 24 memory verses to another Siesta (of your choice) during the designated time at the celebration. (We get in pairs.) Some of you will be tempted to let this be a deal breaker but don’t back out! Siestas are really sweet and patient with each other and we are notorious for giving each other hints. We can even act out charades if necessary. If you’re one of those who genuinely struggles with memorization, just tell your memory buddy up front and she’ll give you all the grace you need. Tell her the gist of the verse as accurately as you possibly can. She’ll be able to tell that you are well acquainted with it and that the goal was accomplished even if you can’t say the verse word-for-word. Whew! Have I exhausted you?? I’ve worn myself out. We just want to answer as many of your questions up front as possible. I want to say something to you before I wrap up this diatribe: this community means something to me. I love it because I love you. I think about you on an ongoing basis. So does my staff. You are a huge part of this ministry. Thank you for the privilege to serve you and to embark on another wild journey with you. May Christ find such delight here that He astonishes us with His presence, favor, and power. So, welcome to Siestaville: women walking alongside women on our way Home, stirring up excitement toward that great day. SSMT is one way we do that. AND IT’S A WHOPPER. Let’s do it, Sisters, starting this coming January 1st! I’ll talk to you again about other things before then but I don’t want the New Year to take you by surprise. This entry was posted on Thursday, December 8th, 2016 at 3:47 pm	and is filed under Scripture Memory, Scripture Memory 2017, Uncategorized. You can follow any responses to this entry through the RSS 2.0 feed. Both comments and pings are currently closed. I Commit Tonya from Troy Missouri. In you Lord, my God, I put my trust. May the words of my mouth and the meditation of my heart be pleasing to you O Lord, my rock and redeemer.